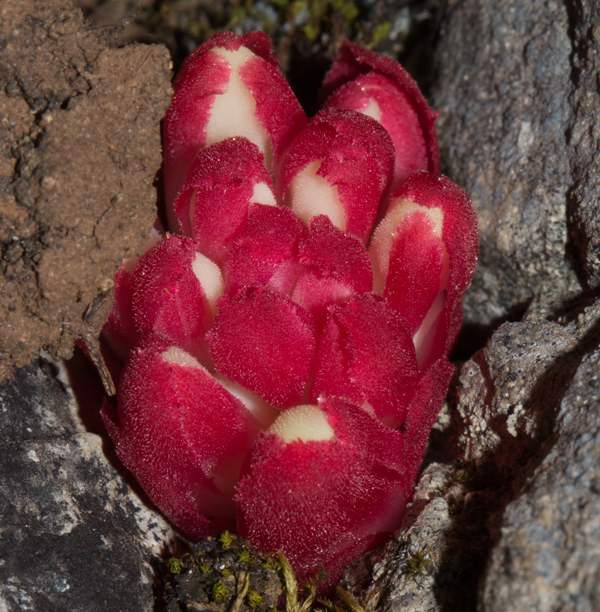 Lacking chlorophyl and having no real roots or leaves, Cytinus ruber lives as a parasite on cistus and other members of the rock-rose family The male flowers are in the centre of the plant and the female ones around the edges. 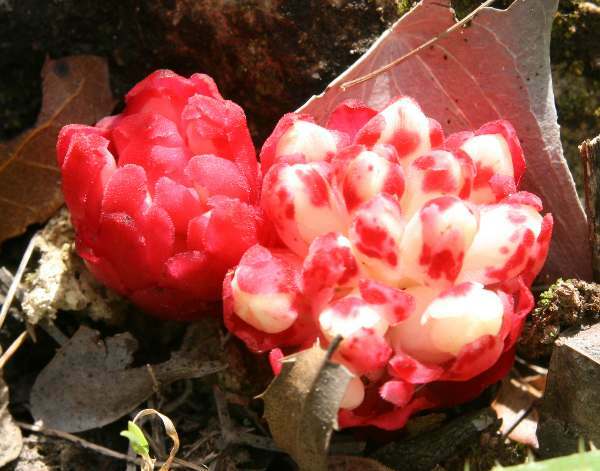 The flowers each have four petals and, when flowering is over, the plant produces a berry fruit. THis striking wildflower can be found in vast numbers around cistus shrubs from mid-April onwards. It is common throughout the Mediterranean region - the presence of rock-rose species being the key to finding it. 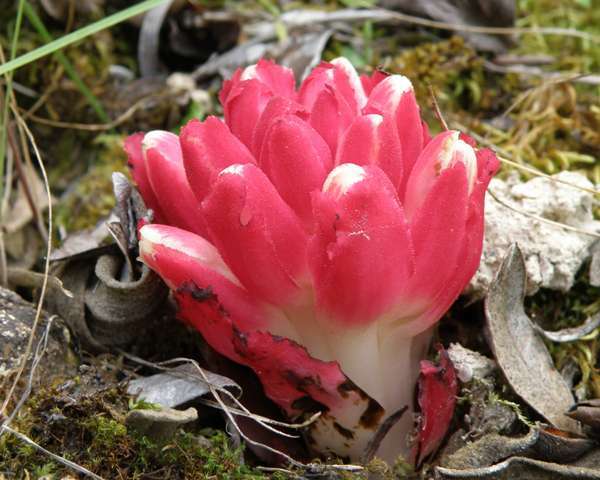 A yellow-flowered species, Cytinus hypocistis, is most often seen growing on the roots of Cistus parviflorus and Cistus salvifolius. The specimens shown here were photographed in the Algarve in Portugal in April.